Art Fart is my way of sharing my drawings and paintings while also taking a step back from social media. About a year ago, to encourage myself to draw and paint more often, I started the Instagram account @parulbyparul. However, in my more recent posts, I obsessed over how to take the most flattering photo of finished products (natural light and leaves in the background - right?). Setting up the photo, posting it on Instagram, and waiting for likes made me feel like I was creating stuff for the sole purpose of posting it. In an effort to re-find the joy of creating art, I am taking a break from posting my drawings on Instagram. Instead, I am creating a small (snail)mail list where I'll send original prints, drawings, photos, etc. 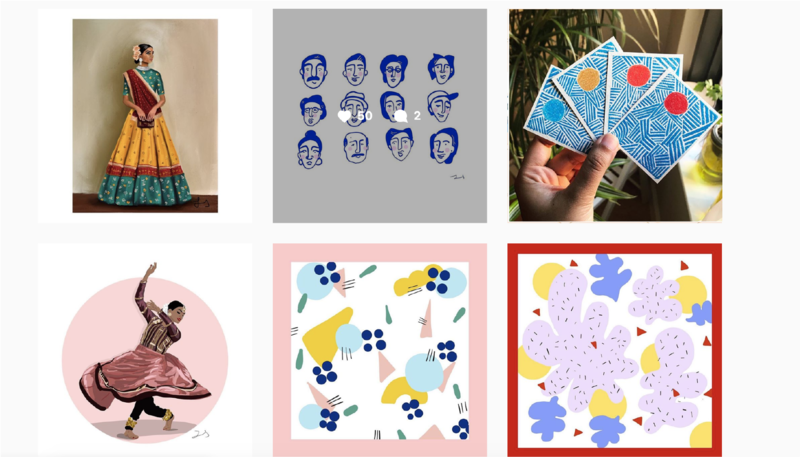 My hope is that I can keep the aspects of Instagram that I like (sharing my work and being motivated to create something), and add in other things I enjoy (giving gifts, sending mail, and maybe even receiving mail). If you would like to occasionally receive a drawing from me, enter in your contact info using the Google Doc link at the bottom. There is no timeline of when you might receive something. So sign up, forget about it, and be surprised when you get your first Art Fart in the mail!